Who needs a marketing budget when you have nostalgia? This weekend saw the return of Jim Carrey and Jeff Daniels from a twenty year absence of working together to reprise the roles of Lloyd Christmas and Harry Dunne in Dumb and Dumber To. Though the film might be the subject of some lofty jabs in terms of ratings and reviews (e.g. Rotten Tomatoes), it’s bringing home a hefty chunk of change thanks to its $38 million dollar haul. Beyond the Lights made its debut as well and made an estimated $6.5 million dollars in the process. 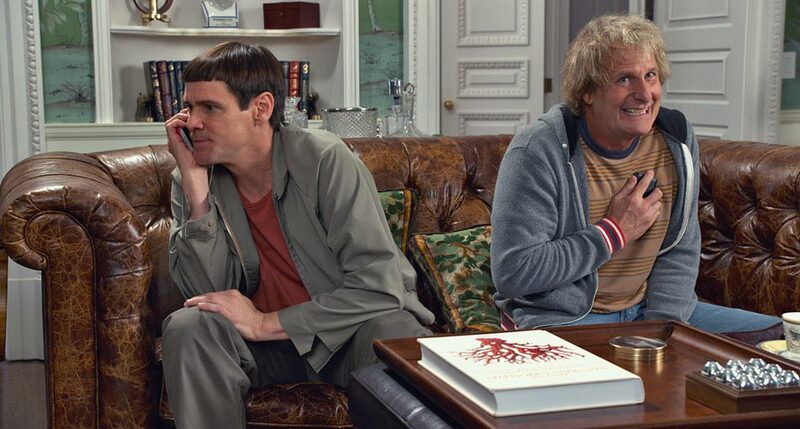 Our review of Dumb and Dumber To can be found right here, and our listing of this week’s top ten highest grossing films can be seen following the jump.